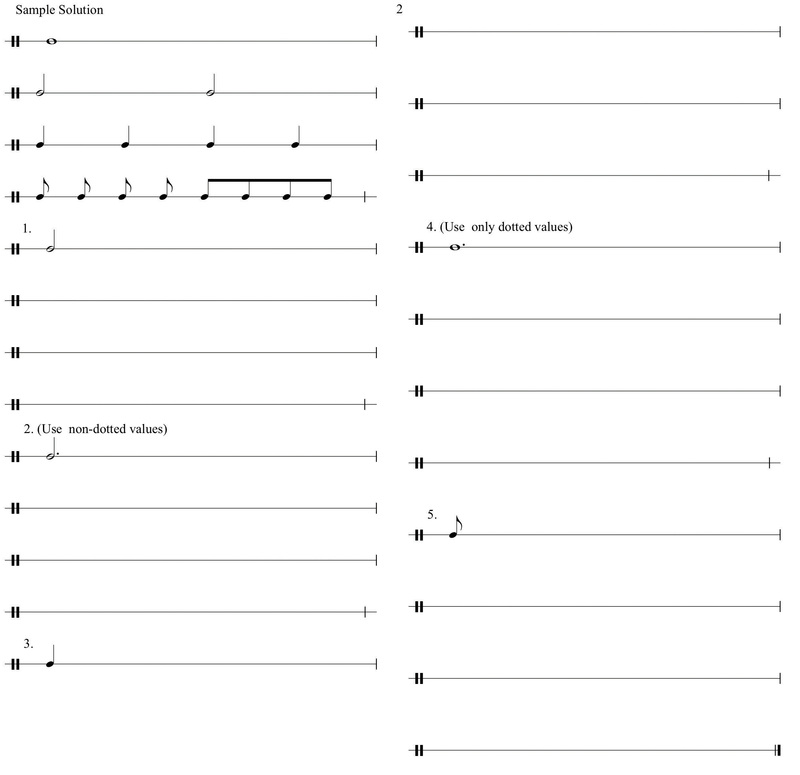 This is “The Elements of Rhythm: Sound, Symbol, and Time”, chapter 1 from the book Music Theory (v. 1.0). For details on it (including licensing), click here. The first musical stimulus anyone reacts to is rhythm. Initially, we perceive how music is organized in time, and how musical elements are organized rhythmically in relation to each other. Early Western music, centering upon the chant traditions for liturgical use, was arhythmic to a great extent: the flow of the Latin text was the principal determinant as to how the melody progressed through time. As Western music moved from monody to polyphony (“single voice” to “multiple voices”), sets of symbols developed gradually that allowed musical time to be established against a recurring background pulse. This also allowed multiple elements in music to be established in tandem with one another. These symbols evolved into the durational values (“note values”) that form the foundation for music notation. Slurs, phrase markings and ties. Curves lines have several uses in music notation. 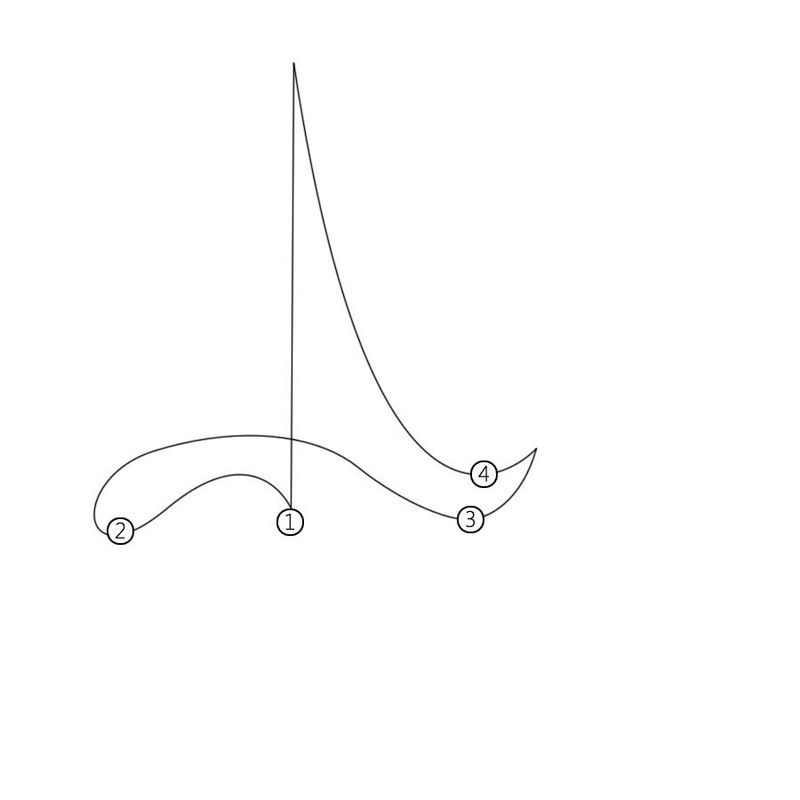 Curves lines may be drawn above or below segments of a composition (slurs or phrase markings). 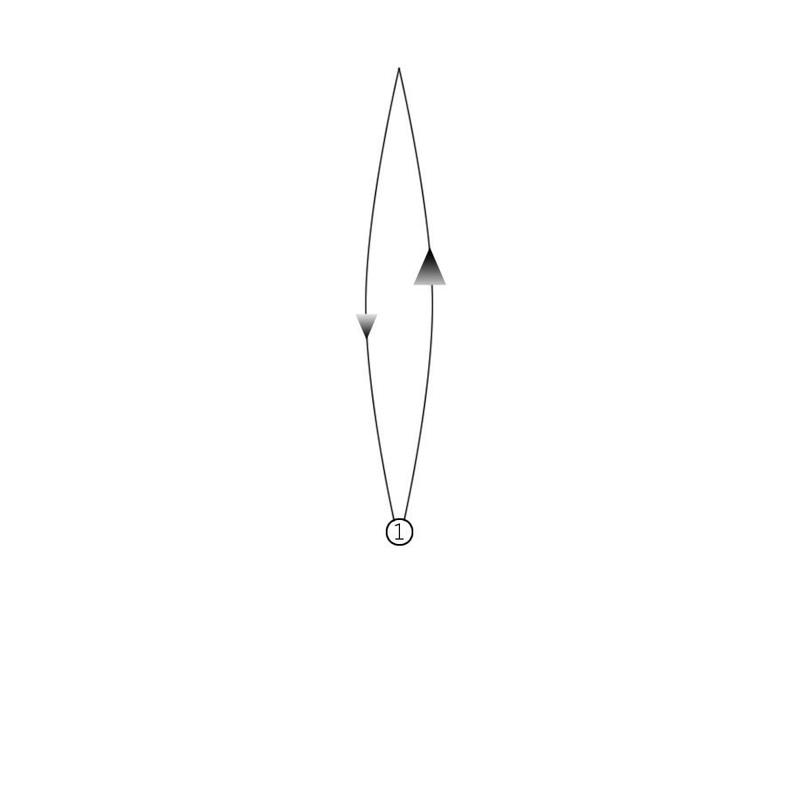 A curved line may also connect two note values across a bar-line (ties). 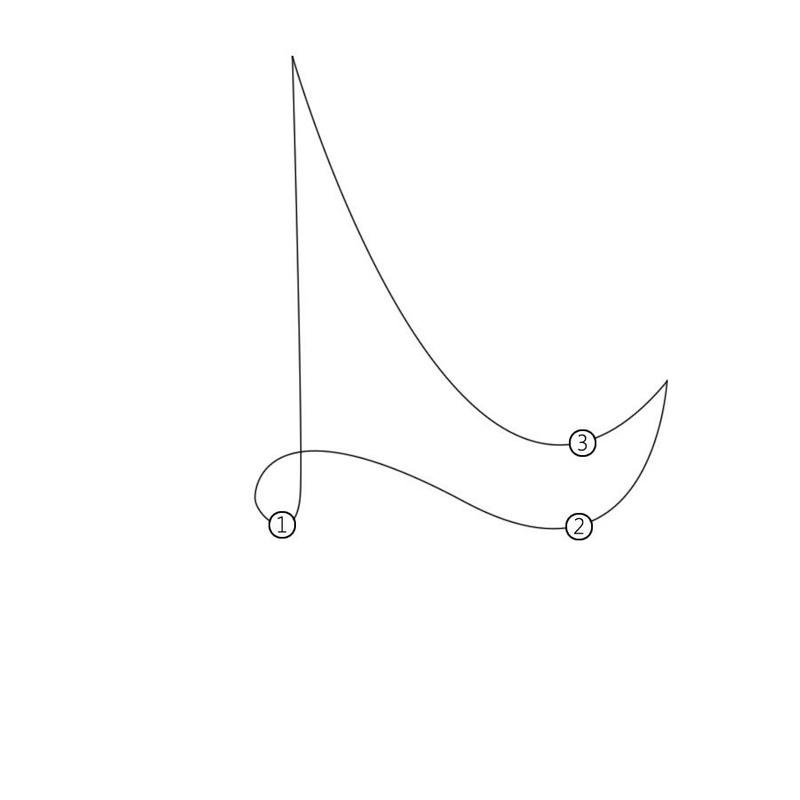 A slurSlurs are curved lines above or below notes showing connection. is a performance indication in music, used to instruct the performer to connect those notes encompassed by the slur. 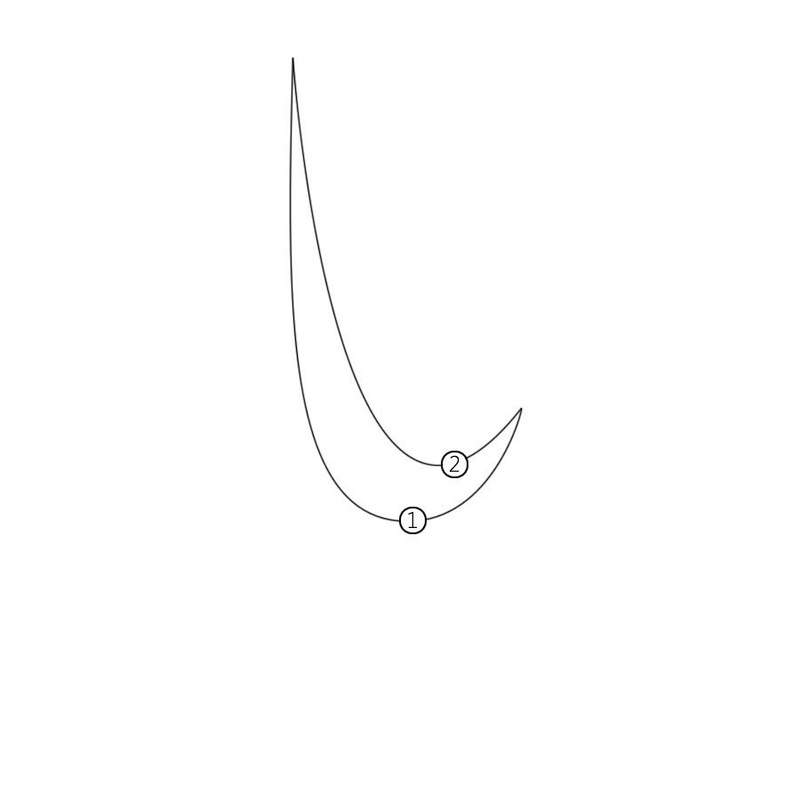 A wind player will not articulate (“tongue”) these notes, a string player will play them all in one bow stroke, a pianist will strive to connect the notes fluidly. A phrase markingPhrase markings are curved lines over segments of music showing complete ideas or statements. is also a performance indication. A composer will encase a passage of music within a phrase marking to indicate a complete idea, a complete musical statement. This does not have any effect upon articulation: many times slurs may be found within the bounds of a phrase marking. Phrase markings are placed above the staff. 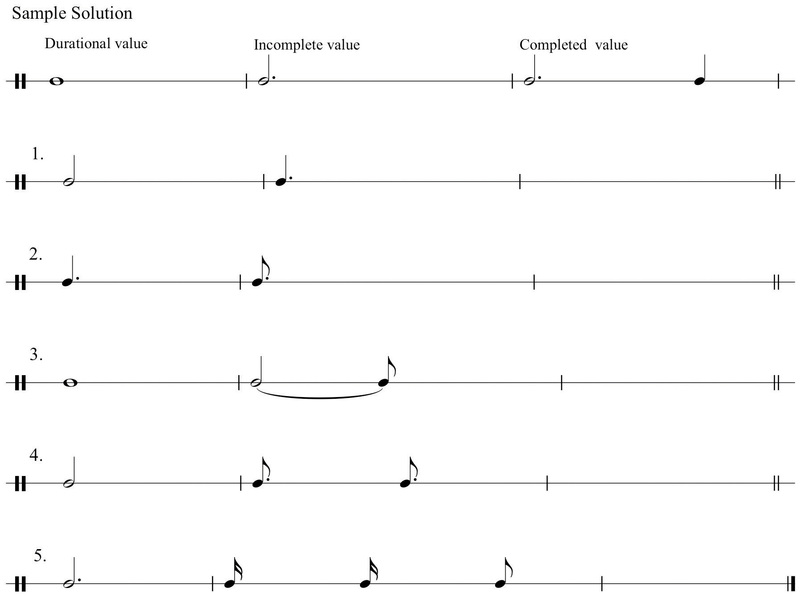 At times a durational value exceeds the bounds of a measure in a given time signature: the note value occupies more “beats” than the measure will allow. 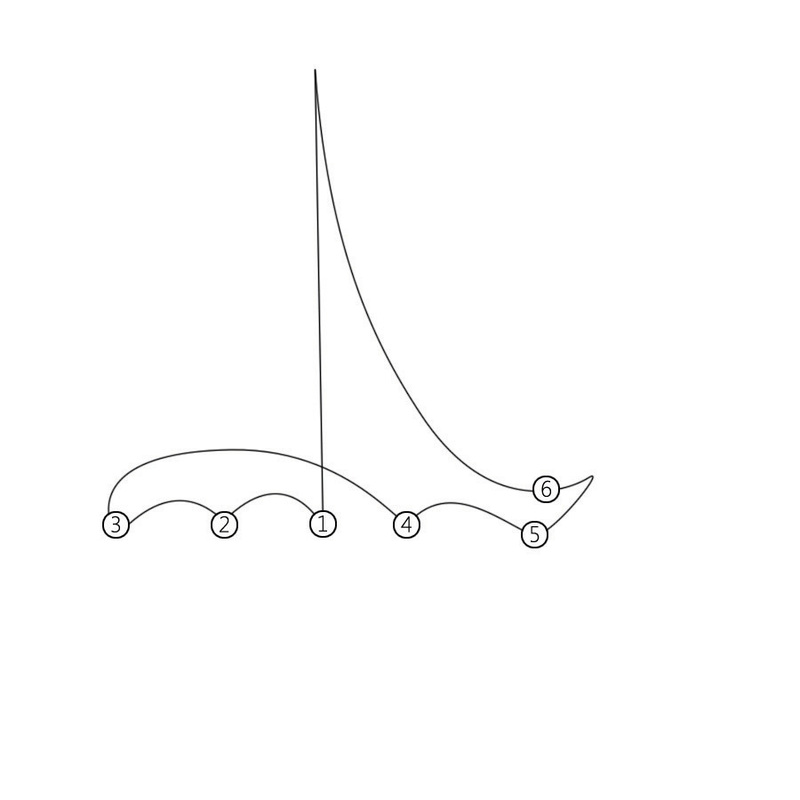 To accommodate this, we use a tieA tie is a short slur used to connect notes across a bar line., a short curved line connecting one durational value to another in the succeeding measure. 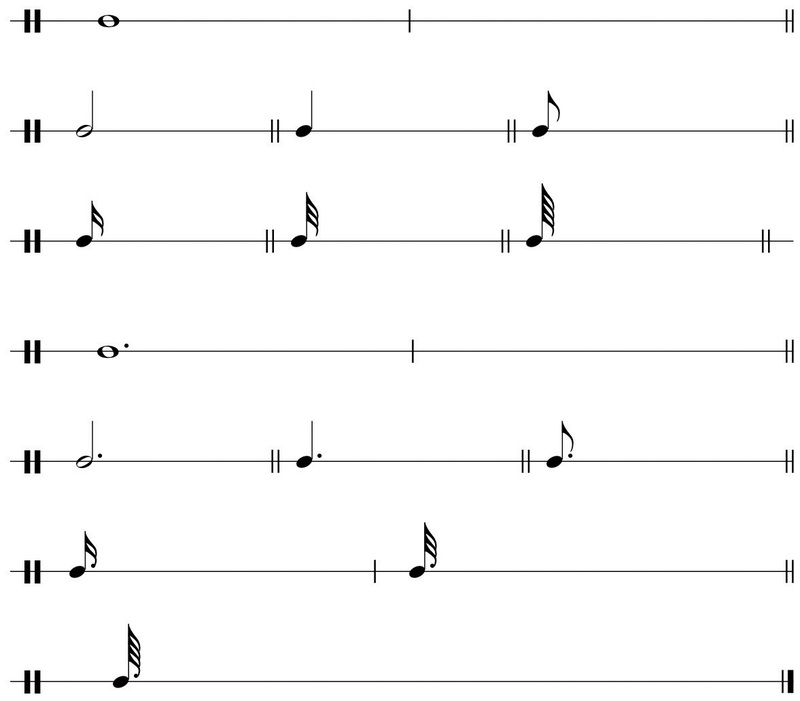 Dynamic markings indicate relative degrees of volume in a composition or a passage of music. 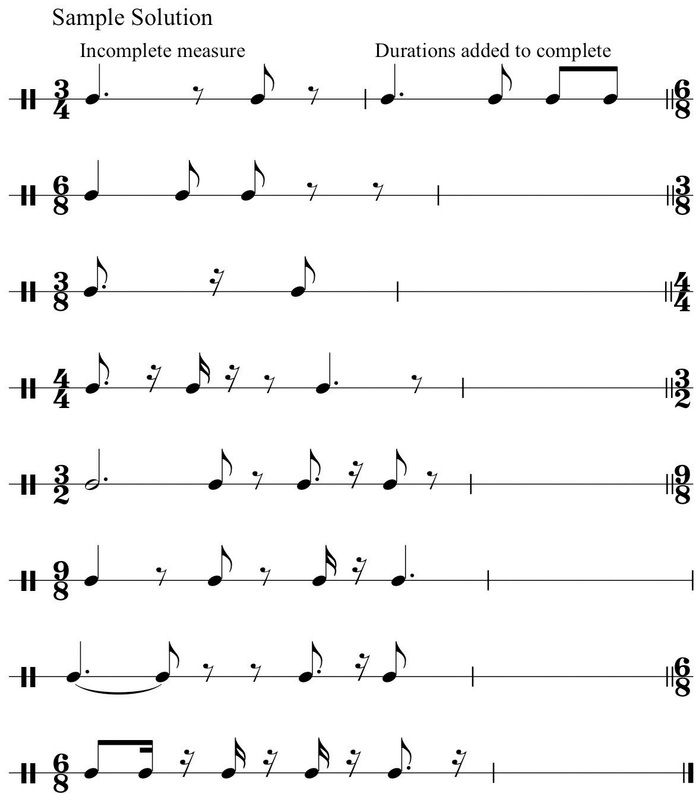 Articulations are common symbols (and their associated terms) directing how notes are performed. These are listed in Chapter 19 "Appendix A: Common Musical Terms" with other common musical terms. Composers employ special markings that serve as performance “indicators,” denoting how notes are to be performed. Those commonly used are listed below. Staccato: originally interpreted as “half the written value,” it has come to mean “detached” (not necessarily “short”). 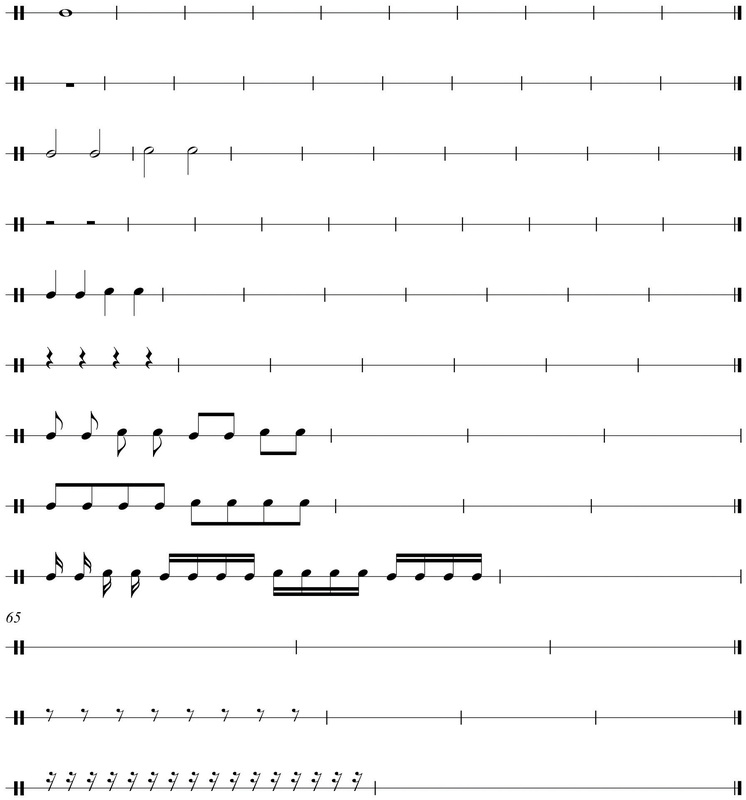 Legato: properly Tenuto (“held”), meaning held to full value and implying connection to the following note value. Review the fundamental attributes defining simple and compound meter. Simple meter divides the fundamental pulse into two portions, compound meter into three. At times it is desirable (or necessary) to insert a compound division into simple time, or a simple division into compound time. This process is called artificial divisionInserting a compound division into simple time (triplets) or simple divisions into compound time (duplet)., commonly called tuplets. A triplet may occur across multiple beats in Simple Meter, called a super-triplet. In Compound Meter, a larger tuplet across multiple beats may occur. Composers have employed many other tuplet figures, inserting larger artificial divisions within beats or groups of beats. Artificial division is used as a process for making rigid time and beat division much more fluid and irregular. This technique is especially prevalent in music from the 19th Century onwards. 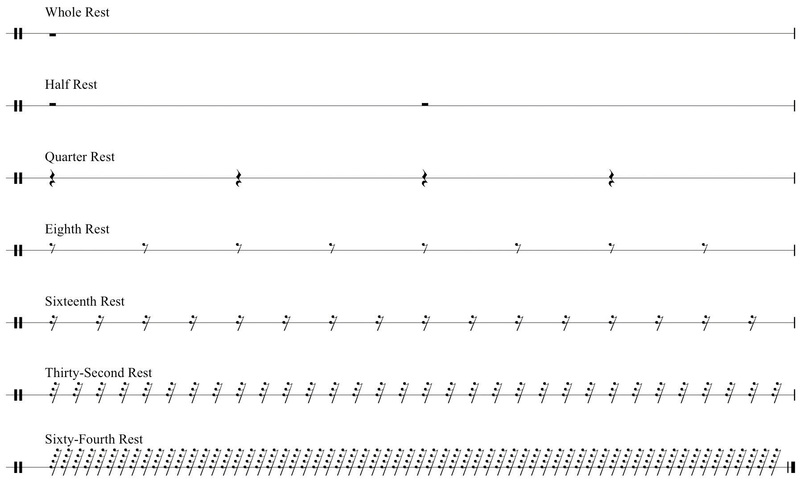 An arrangement of durational values that places accents or “stress” where it is unexpected. Originating as a rhythmic device in early music, it has become an especially prevalent attribute of music after 1900. 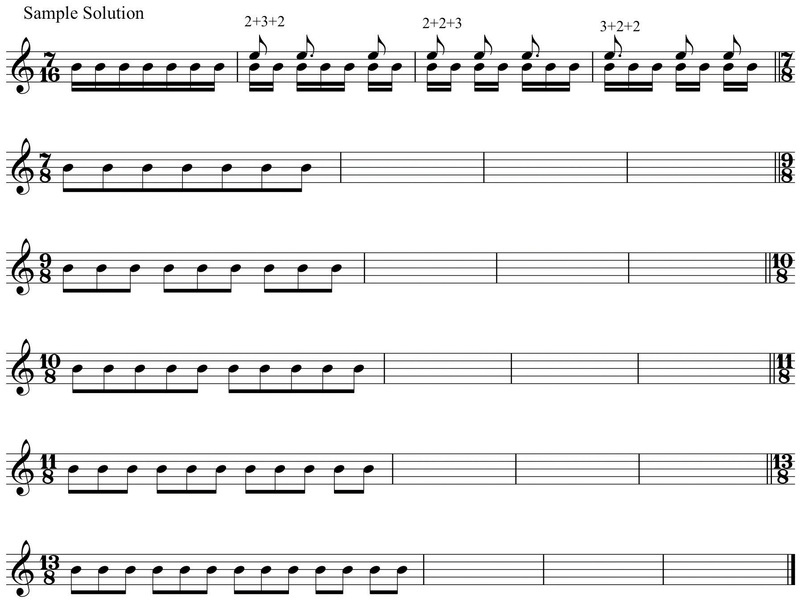 Syncopation does occur in certain contexts throughout the evolution of Western music. Triple meters and their multiples are not included in this category generally. Often these meters are treated in the same manner that we treat compound meters, that is, the written time signature represents First Division. So, for example, 58 might be grouped as two eighth notes plus three eighth notes or the reverse. Until the 20th Century, there were relatively few examples of asymmetrical meter in the literature. A notable exception is the second movement of Tchaikovsky’s Sixth Symphony (Páthetique) (in 5). 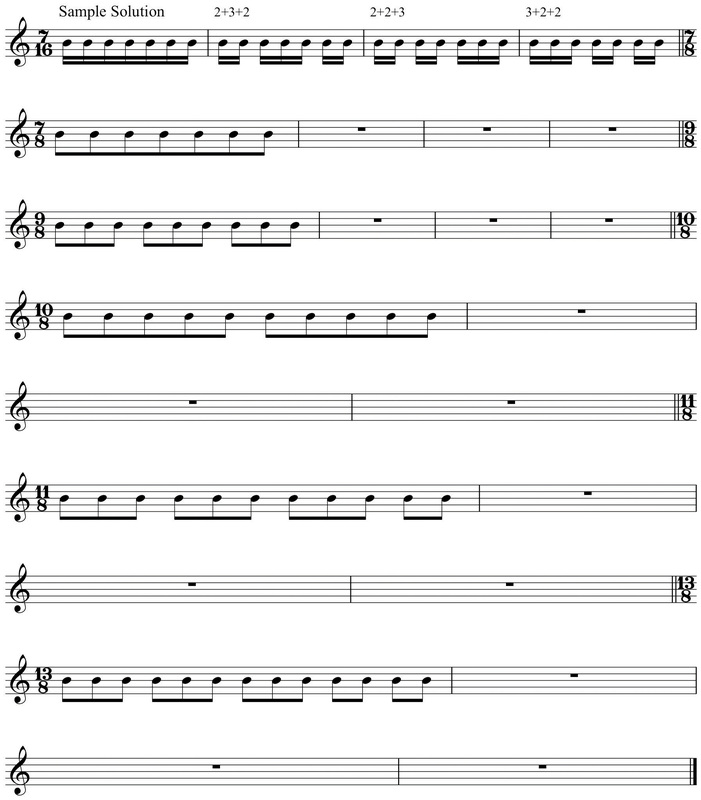 It became customary for 20th-century composers to mix asymmetrical meters as needed, their use dictated by phrasing, text rhythm, and so forth. Concluding our discussion of rhythm, we are fully prepared to enter the realm of pitch in the next chapter. Uses of the slur (phrase marking, tie). Basic dynamics and basic articulations. List the six basic dynamics markings and give their relative volumes. 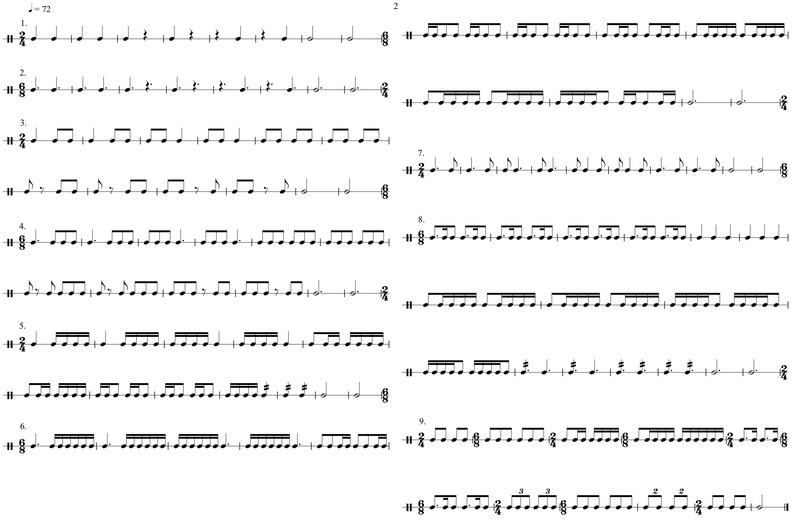 Using the Time Signature Table, graph the following asymmetrical meters. 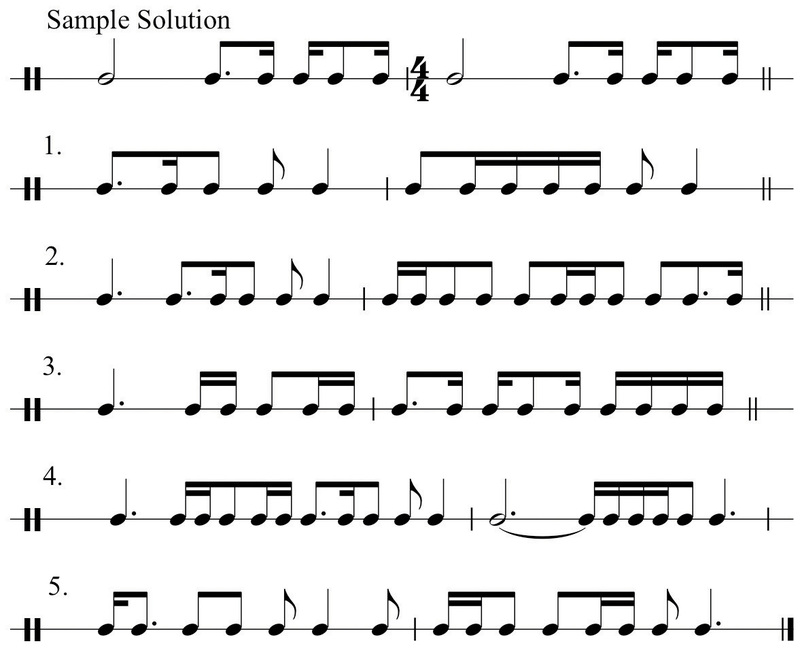 List each written time signature in the First Division row, sum to find component Pulses, then provide one level of Subdivision. Sum the divisions you’ve created in order to determine pulse values. See example.